The Light of the World Church in Bangor is located in a former bank next to the Hannaford Supermarket near the Bangor Mall. The largest non-denomination Christian church in Mexico has sent missionaries to Maine in a push to have a presence in all 50 states. A small Bangor congregation has been meeting since July in a former bank next to the Hannaford Supermarket near the Bangor Mall. 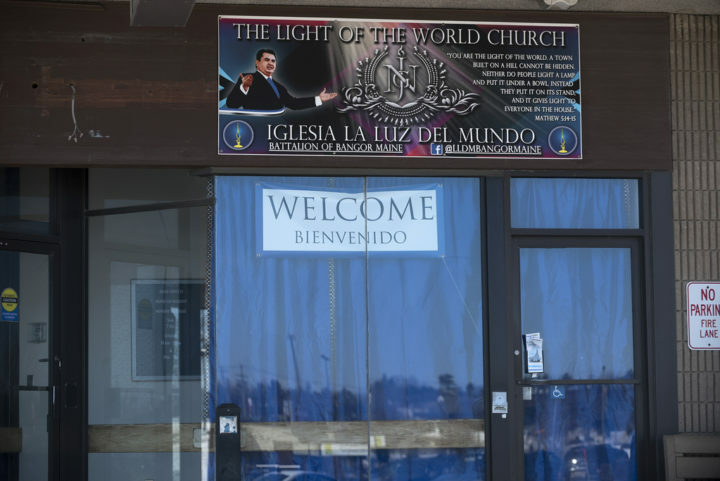 La Luz del Mundo, or Light of the World Church, also has missionaries in Portland, Lewiston and Augusta. Services are conducted in English and Spanish. Mascorro and Daniel Munoz, 36, of Bangor came to Maine with other missionaries about two years ago so the church would have a presence in all 50 states. Both men were raised in the church in the U.S. In all, there are fewer than three dozen members in Maine. So far, the Bangor congregation is tiny; just eight members and their families worship regularly. Numbers grow in the summer when migrant agricultural workers pass through Bangor. The small numbers don’t concern Mascorro. That growth will come through networking with area residents who are Hispanic and through members asking co-workers and neighbors to attend services, as other evangelical churches in Maine do. La Luz del Mundo was founded in the late 1920s in Mexico and coincided with the rise of Pentecostalism in the United States, according to the World Religions and Spirituality Project, based at Virginia Commonwealth University in Richmond. La Luz del Mundo considers itself non-denominational because unlike Protestantism, it did not grow out of the Catholic church. It was founded by Aaron Joaquin Gonzalez, who had little formal education. He was born in Guadalajara, where the denomination still is headquartered. Gonzalez offered an alternative to Catholicism that appealed to people who had little and were unhappy with their position in society, according to the World Religions project. The Light of the World Church in Bangor. The founder died in 1964 and was succeeded by his son Samuel, who expanded the church into southern California and Texas. His son, Naason Joaquin Garcia, took over as the new charismatic leader in late 2014. 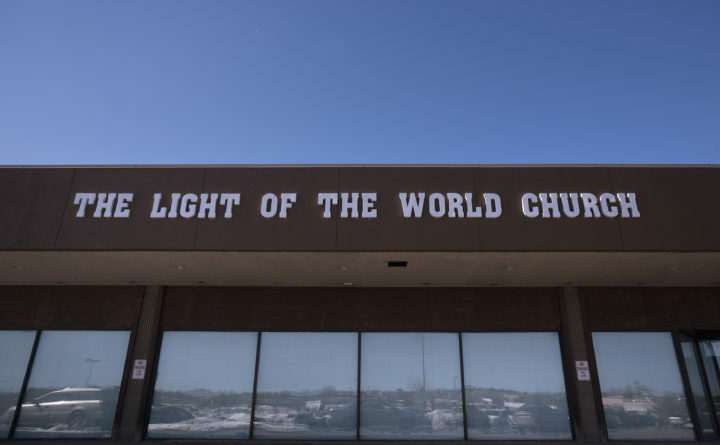 Exact membership numbers are difficult to pin down, but Light of the World Church claims it has between 6 million and 7 million members worldwide. 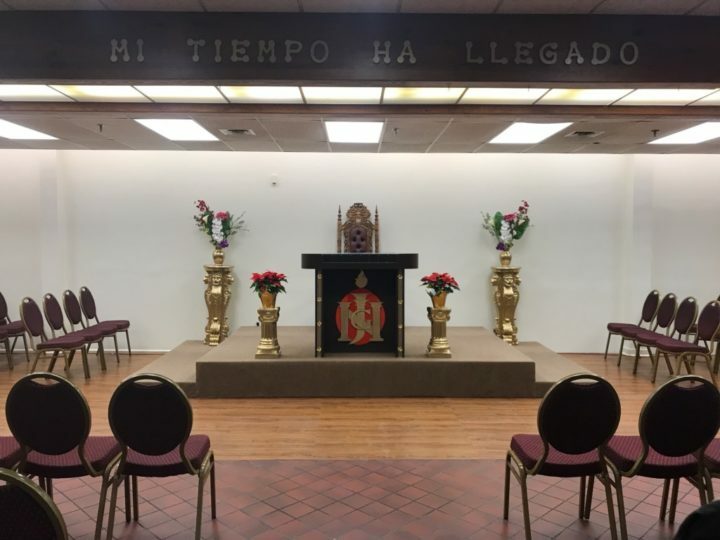 The church has had a presence along the U.S. border with Mexico for half a century and congregations in metropolitan areas with large Hispanic populations for decades. Members consider Garcia to be an apostle of Jesus Christ. Followers are expected to pray multiple times a day and to attend a daily worship service with the congregation. Men and women sit in separate sections of churches, which are called temples, but only men preach and serve in the church hierarchy. Services include the reading of scripture, singing of hymns praising God, testimonies by participants and collective prayers when worshippers are able kneel. At the end of the service, congregants place their offerings in a locked wooden box at the front of the room that has a slot in the top. Occasionally, worshippers watch a live feed of a large revival led by the apostle. At 14, children decide whether to devote themselves to following church teaching. Each individual must stand before the congregation announce their intentions. Then, they are baptized by submersion. The walls of the former bank near the Bangor Mall are unadorned, without crosses or photos of Christ. On a dais at the front, where bank tellers once dealt with customers, is a wooden podium with Garcia’s initials, NJG, on it in gold letters. The podium at the Light of the World Church, located in a former bank next to the Hannaford Supermarket on Bangor Mall Boulevard, shows the initials of the head of the international church, Naason Joaquin Garcia, who is considered to be God's apostle. The church has been criticized as being akin to a cult because of the reverence followers express for the church’s current leader and belief that he is a modern apostle of Christ. Mascorro said that his and other members’ focus is on Christ. Munoz said that God asks followers to be two things: Good Christians and good citizens for the world.